THIS is an occasion that calls for a party! 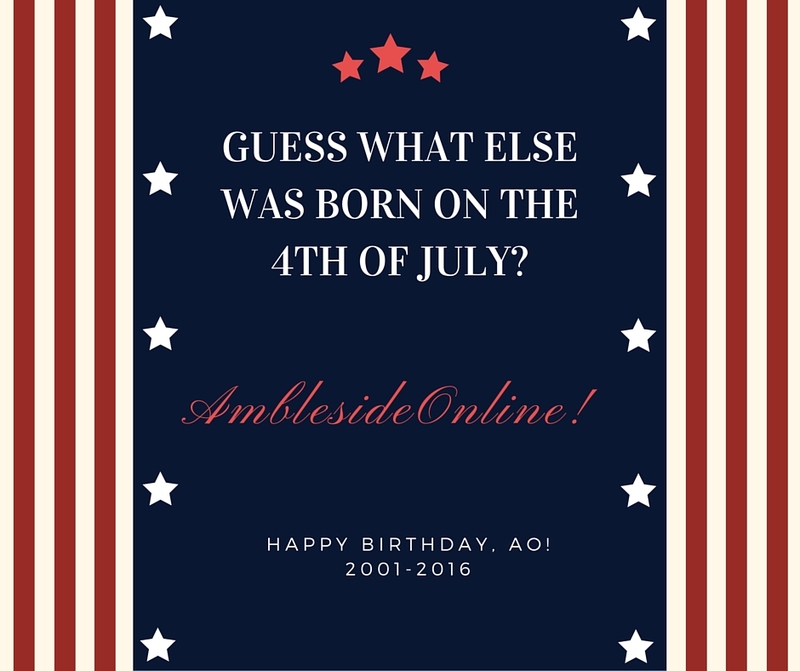 We are dedicating the month of July to celebrating AmblesideOnline's 15th birthday. Please do come along! Bake a cake, light sparklers, sing a song, write a brilliant Broadway play in poetic meter and call it Ambleton... okay, so maybe not. But do come along and party with us! Ambleton. HA! I love it. Happy, happy birthday, AO, and many more. Your mamas have given us a great gift and we are eternally grateful. 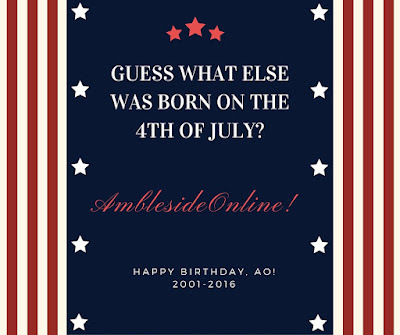 Happy birthday, AO! As my daughter enters her first grade year and she and I are figuring out our best homeschool approach, I appreciate the resource that you are. Many happy returns!